Hogg was playing with Walker Church Lads in his native Newcastle when Leeds City saw him as a future prospect and brought him to Elland Road in September 1909, when he was still only nineteen. He was earmarked for the lower grade teams to help him gain experience and hopefully mature into a good goalkeeping prospect. He had been with City for just one year when he was thought ready for the first team at the start of the 1910-11 season. 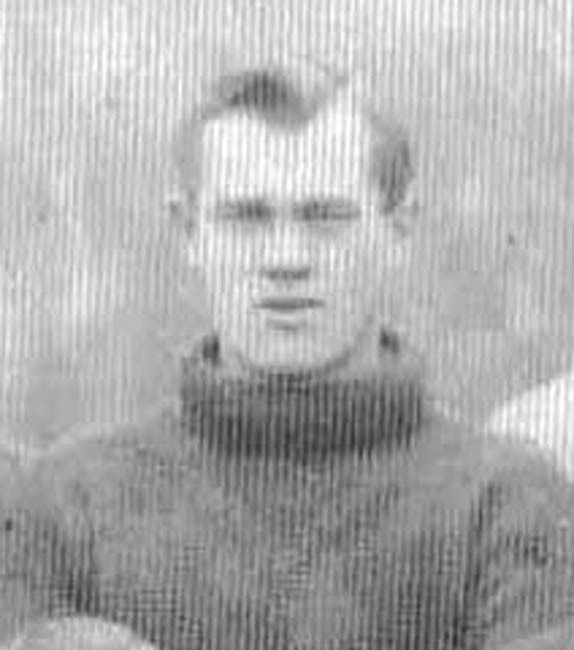 Harry Bromage had been the City first choice for several seasons, but was injured for the start of the campaign and the twenty-year-old acquitted himself well in the first three games that he deputized, as each of the games were lost by a single goal, but it was enough for City to recall their experienced keeper as soon as he was fit. Hogg did play a further ten games that season and the ageing Harry Bromage was allowed to leave at the end of the season. However, Leslie Murphy was recruited from Ireland as first choice and Cecil Reinhardt was also brought in as cover which relegated Hogg to third in the pecking order. After Murphy had played the first six fixtures, of which only one ended in victory, it was Hogg who was called upon for two games before Murphy resumed for the next eight fixtures before Reinhardt took over for four matches. Murphy then returned for four games until Reinhardt was restored for the next eight, but it was Hogg that finished the season as number one with six consecutive games. Just as Hogg thought he had established himself with the departure of Murphy back to Ireland, new Manager Herbert Chapman opted for experience and brought in the ageing Irish International Billy Scott. Once more it was back to the Reserves, but as Reinhardt had also left it was a straight fight between himself and Scott. While Scott started as first choice he only played five games after the turn of the year as Hogg finished the season as the man in possession. Hogg remained the first choice keeper for the next season and a half until Willis Walker took over in February 1915. Hogg did not play for Leeds again as the War broke out and Hogg played for Houghton Rovers and then Palmer's (Jarrow). It was not until 1920 that he signed for First Division Newcastle United but never made their first team.